Here are few pictures from Hampi, in Zenana enclosure. 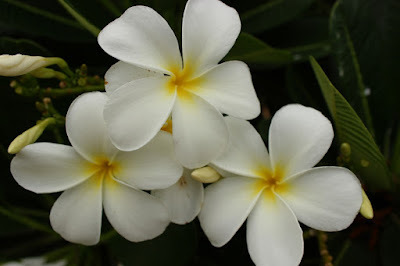 I can almost get the fragrance.. the mild sweet refreshing smell.. ah! Yes indeed these trees add a lot to the place. 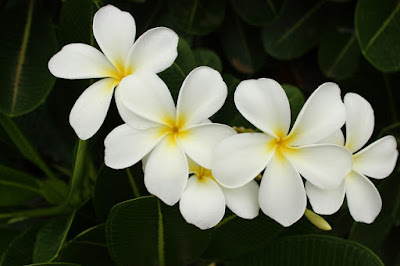 And this one especially, how its branches grow and like you admired, yes its flowers. I think you did share (can't remember) also the grove of them on the hill opposite Shravanabelagoala. you reach the top, and there is the rocky hillportion on the right for Chandrapaduka, on the left the temples, and in between is this grove. Seeing it there is just so wonderful. They look awesome, but can't remember them. Are they raat ki raani. Do they have orange color at the bottom? There is a story that Sri Krishna broght them for Smt.Rukmini bai. I forgot the name. They have very descent smell but very next morning they will fall off. Thank you, Nikhil, Alexis and Raghu. @Alexis - nice to see your message :) all is well. looking forward to your next visit here. 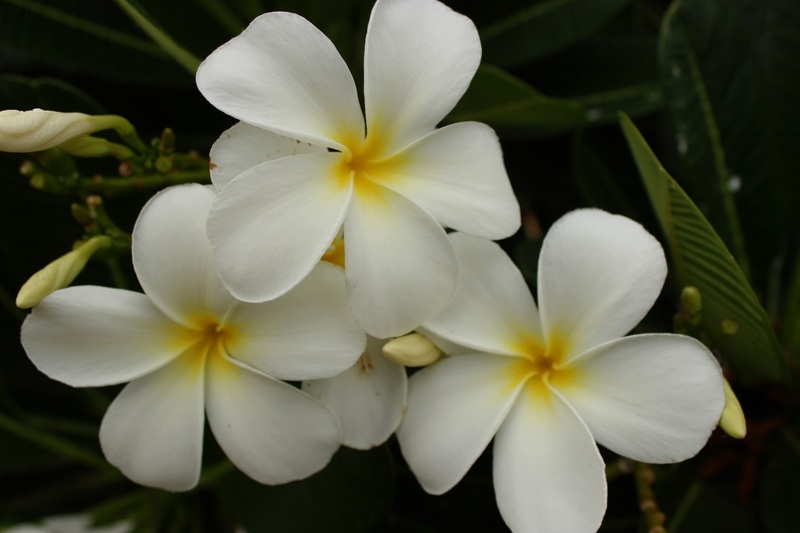 Yeah, remember seeing Frangipani leis in posters and movies. Here you'll see garlands of Millingtonia (Mugila Mallige) and Chrysanthemum (Shavantige). 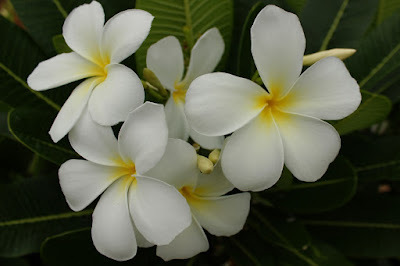 @Raghu - learned Kannada name from you - Gosampige -literally translates to Cow Magnolia champaca. Raj, I think you are referring to Parijata.